Finding a beautiful new manufactured home or modular home at Palm Harbor Homes is the first step. Finding the financing is the second step to your dream home. Trying to find financing for a manufactured home is no easy feat. With such a big investment, you definitely want to do your homework. 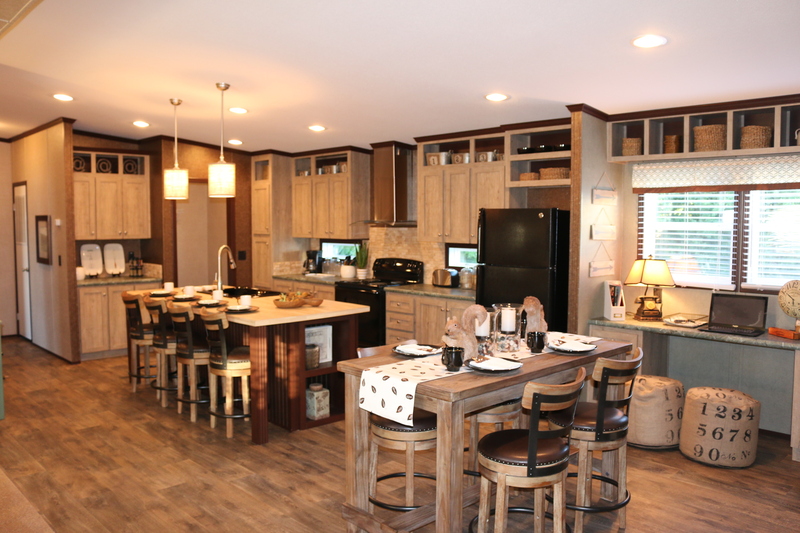 Palm Harbor Homes offers luxury manufactured and modular homes as an affordable option for many families. While we do not offer lending or financing, we do want to be able to inform our customers of the important considerations when it comes to financing a manufactured home. Here are some criteria that you will want to discuss before financing. What Are Important Features for You? When you are looking for a manufactured home, you want to first sit down and brainstorm about what features are important to you. Do you want a porch? A bigger kitchen? How many bedrooms do you need? Evaluating what you need and want will indicate the budget you will require for a home that meets your needs. What Upgrades Would You Choose? Things have changed dramatically in the manufactured home market. There are many upgrades and improvements that you can add to your manufactured home. Palm Harbor Homes have many upgrades, such as DuraBuilt Cabinetry, ceramic tile, and energy efficient packages that you can add to your custom manufactured home. While some of these upgrades cost a bit more, they can increase the value of your investment. It is a common misconception that you have to stick with one lender. You should do a thorough investigation about your financing options before meeting with a lender. Talk to banks, credit unions, as well as specific manufactured housing lenders. When you have many numbers to compare, you can properly negotiate the best rate. Don’t forget to factor in the additional costs of home ownership including property taxes, insurance, and general maintenance. If you are looking to purchase and would like resources on financing a manufactured home, contact Palm Harbor Homes at 1-888-466-3718 today. We are happy to assist you in finding the perfect home.